Nintendo’s lone foray into the world of feature films didn’t turn out so well for the video game titan (remember Super Mario Bros.? I’ve spent most of my adult life trying to forget it), and the company has since become very gun-shy about allowing any of its iconic characters to make the leap to the big screen. This stance becomes pretty depressing when you get a glimpse of what might have been, like with this pitch trailer for a film based on the wildly popular Legend of Zelda games. Created by Hong Kong-based animation company Imagi, this teaser reel for a Zelda movie looks impressive. 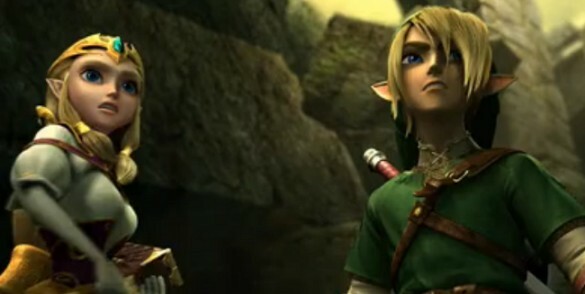 You’ve got Link and Zelda in an animation style reminiscent of The Twilight Princess game, loads of atmosphere, lavish visuals and pretty much everything else Zelda fanboys have been dreaming about for years. Okay, that Ganon model needs some work, but this was just a teaser. Unfortunately, Nintendo was not swayed by this clip – which has now turned up online courtesy of former Imagi DP and Layout Supervisor Adam Holmes. If you listen closely, you can hear throngs of Nintendo fans sobbing into their Tri-Force hankies. Check out the clip below (and a behind-the-scenes comparison video) and lament what might have been.